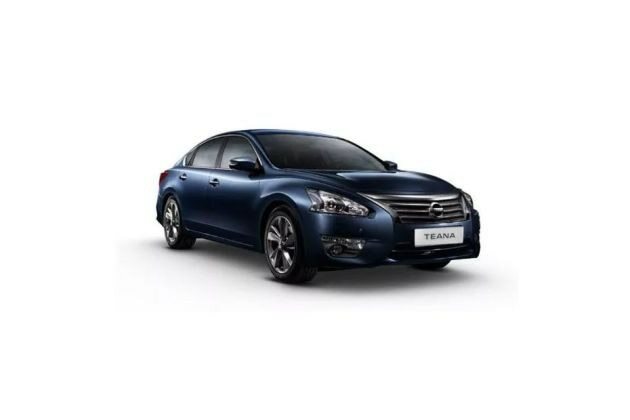 Another splendid car from the stables of Nissan Motors India Private Limited is the charming Nissan Teana XV sedan, which was launched in year 2012. The company at present have quite a few vehicles in the market already and they are now making an attempt to expand their hold over the Indian market with a few more launches scheduled soon. The company has a massive production facility near Chennai, which has a capacity to generate close to 2 lakhs car per year. Nissan has given a very refreshing look and a powerful engine to this sedan. The company hopes that this next generation car will compete successfully with cars from Honda, Skoda, Hyundai, Toyota and other such companies. The Nissan Teana XV comes with an amazingly advanced technology with a great combination of streamlined body design. It has mechanisms and parts which are specially imported all the way from Japan to wow its Indian customers and one can see a noticeable difference in the performance as well. Nissan Teana can be seen in 2 petrol variants XL and XV loaded with the same 2.5-litre V6 EFI (electronic fuel injection) fuel supply system with DOHC (dual overhead camshaft). This premium sedan has an X- Tronic based CVT (continuously variable transmission) automatic gear box. On the other hand, there is a steady and well balanced braking and suspension system, which can be seen in the sedan to give its owners a very comfortable driving experience. As this car comes under a premium sedan segment, the Japanese automobile manufacturer has included some very important safety and protective features to safeguard both the passenger’s as well as the vehicle. To make this premium sedan more appealing, the front grille is chrome finished and surrounded with round fog lamps and Xenon headlamps that have a retractable washer. The exteriors are quite stylish to match its class. The sleek and slender body line along with aerodynamic structure of the sedan is definitely a head turner. Large front grille with three horizontal slats has a chrome finish with body colored bumper, which has an air dam in the center along with bright fog lamps takes this stylish looking sedan to new heights. It has high intensity xenon headlamps with retractable washers that gives an incredible visibility to the driver. Another interesting feature adding to this premium sedan are its window glasses which are tinted green making the heat reflective and the panoramic sunroof has UV protection on it. The side profile gets chrome plated pull type outside door handles. And there are some more added features like 17 inch alloy wheels, bright LED tail light cluster, rear view mirrors which are electrically adjustable and foldable with integrated turn indicators. As soon as one will enter this sedan, luxury can be felt and seen instantly through its top end interiors. The interiors are done completely in beige with high quality leather, which can be seen on the seats that are further extended to the door trims with padding and chrome finished door handles. It also has a center arm rest between the front seats and one for the rear seat as well with wood finish. The front seats are electrically adjustable and its driver seat has lumbar support. Another superb feature is that the steering wheel has a very receptive EPS (electric power steering) that can be tilt adjusted according to driver’s need and comfort. It just doesn’t stop here the steering wheel, gear changing lever and the parking brake lever are all covered in high quality premium leather. Some of the other added features which cannot be ignored are front and rear LED personal lamps, which are linked with the opening of the door, 4 cup holders (2 in front and 2 at the rear), a powerful dual zone automatic climate control based air conditioner unit with separate air vents for rear passengers. Under the hood of this high end sedan there is a 2.5-litre, V6, EFI (electronic fuel injection) fuel supply system with DOHC (dual overhead camshaft) with 6-cylinders and 24-valves in it, which has the ability to displace 2496cc with a torque yield of 228Nm at 4400rpm. This powerful engine is coupled with X- Tronic based CVT (continuously variable transmission) automatic gear box. This combinations can take this sleek looking sedan from 0 to 100 kmph in merely 12 to 14 seconds. The company claims that if driven under standard conditions it can give an average of 8.03kmpl on city roads, whereas on highways it can reach up to 11.07kmpl. This sedan is not just about luxury, it also has amazing braking system for the safety of the passengers as well as the vehicle. It has highly efficient ventilated disc brakes for the front wheels, while the rear ones get solid disc brakes, which makes it a powerful and effective. The Nissan Teana XV also has a highly developed antilock braking system, which further improves the braking system even on wet roads . On the other hand, the suspension mechanism of this luxury sedan will certainly ensure a comfortable driving experience to all its occupants that is why it has a independent strut type of a system for the front axle, while the rear gets a similar independent strut axle along with a multi-link type suspension mechanism, which works very well even on bad roads. When we talk about comfort features for this car it is said to the best in its segment because after all, this sedan is all about luxury. The sedan’s front seats are electrically adjustable and its driver seat has lumbar support. High quality leather can be seen everywhere on the seats, steering wheel, gear changing lever and door trims with wooden finish. An electronic power steering which can be adjusted according to driver’s comfort adds more to the comfort features. A dual zone automatic climate control based air conditioner unit with separate air vents for rear passengers. A very unique feature is a central door lock system with the advanced intelligent key technology with a push button ignition and also a remote keyless entry. Some other comfort feature includes a drive computer, a manual internal day and night rear view mirror, adjustable front and rear headrests, outside temperature display. The company has not only kept luxury in mind but also made sure that it is completely safe, which includes a highly developed VDC (vehicle dynamic control) and EPS (electronic power steering) that aids in better control over the car while driving. To further increase the car handling experience, while driving the company has equipped this sedan with anti-lock braking system and electronic brake force distribution. It also has air bags for front seat passengers with side curtain air bags for added safety. Some of the other safety features also includes an anti-theft device with alarm and speed sensing automatic door locks. Pros: Good looks, Spacious and roomy with sophisticated interiors. Cons: Few more features can be added, mileage can be better. Nissan Teana is available in 5 different colours - Brilliant Silver, Bordeaux Red, Onyx Black, Brilliant White Pearl, Amethyst Grey Pearl Metallic. Will India Get 2013 Nissan Teana/Altima?